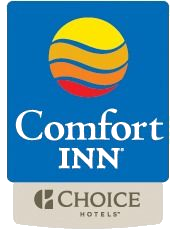 Comfort Inn Pickering offers many great attractions within a short drive to the hotel. The TORONTO ZOO is minutes from the hotel and a must see while visiting our area. The Herongate Barn Dinner Theatre offers a wonderful buffet dinner and fabulous theatre performances. Pickering Museum Village provides a peak into the pioneer days and there are many seasonal activites. For the active Guest or our Guest's that like to explore, we have maps for local trails, conservation areas and cycle tours. Other local activities include; Treetop Eco-Adventure Park, Brimacombe Ski Report, Dagmar Ski, Lakeridge Ski and Parkwood Estates, OLG Slots at Ajax Downs. Toronto and all there is to offer - just minutes away! The NEW Ripley's Aquarium of Canada, CN Tower, Air Canada Centre, Roger's Centre, Medieval Times Dinner Theatre, Hockey Hall of Fame, Casa Loma, Science Centre, Royal Ontario Museum and the Art Gallery.